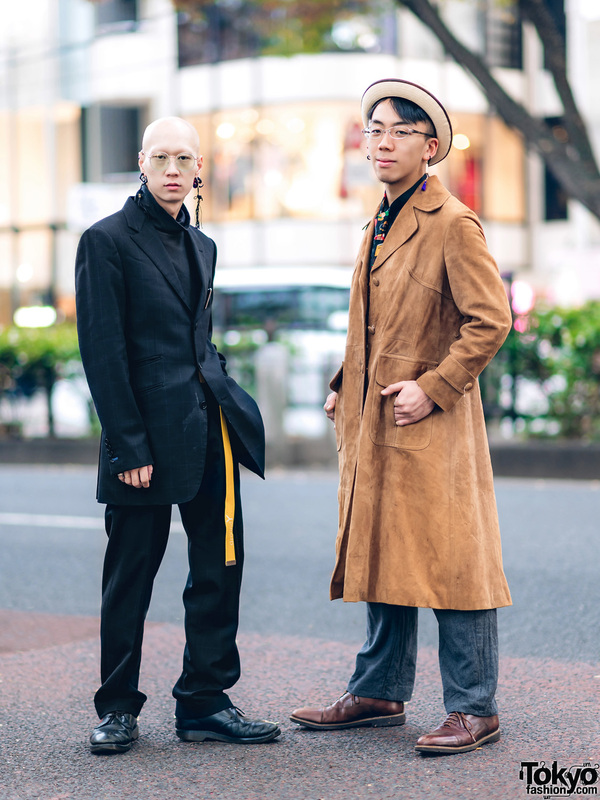 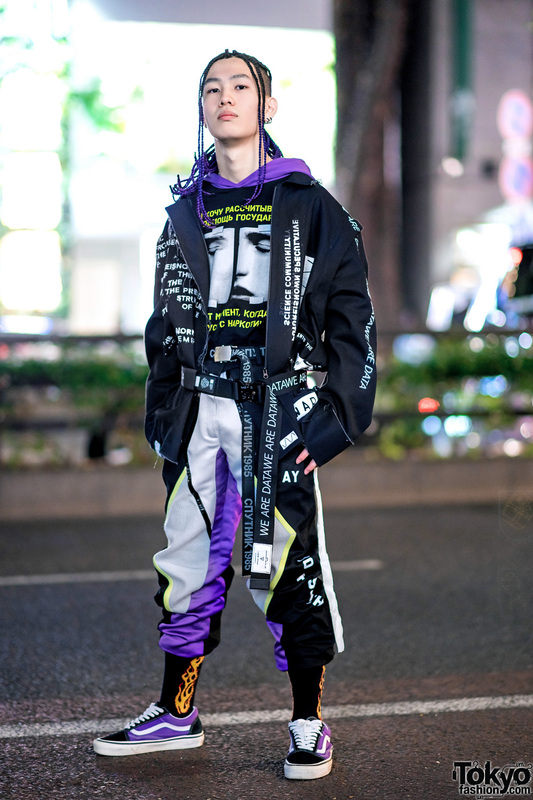 Bunker Tokyo staffer in braided hair falls and Russian streetwear style while out and about in Harajuku. 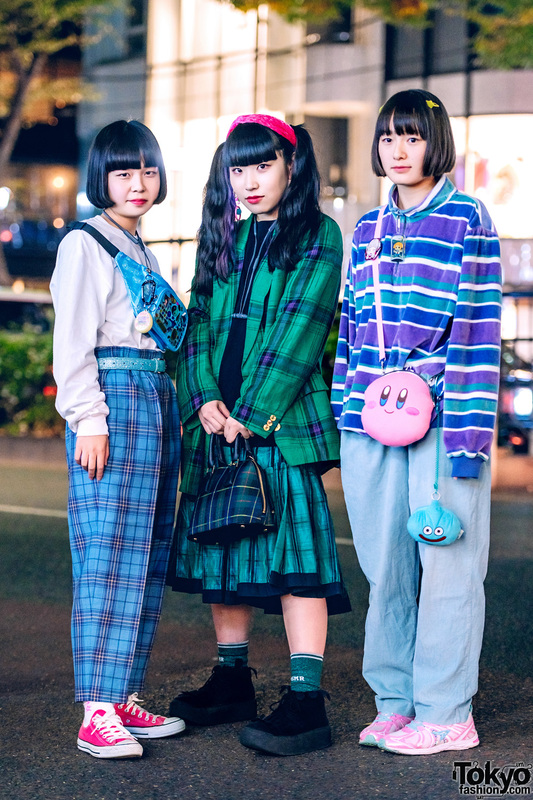 Japanese girls sporting plaid and striped streetwear styles while out on the Harajuku street one evening. 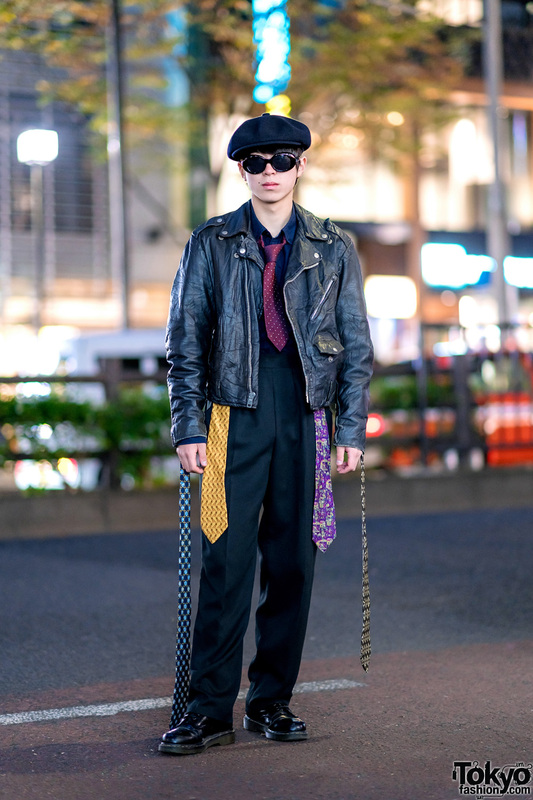 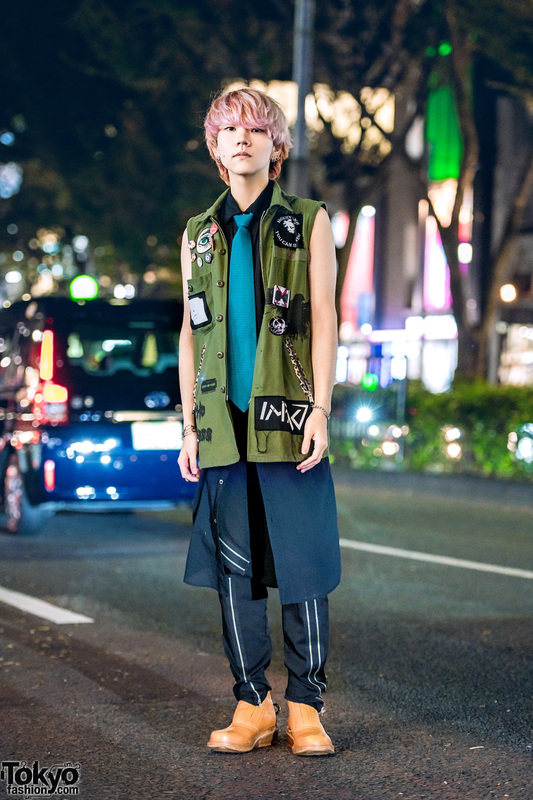 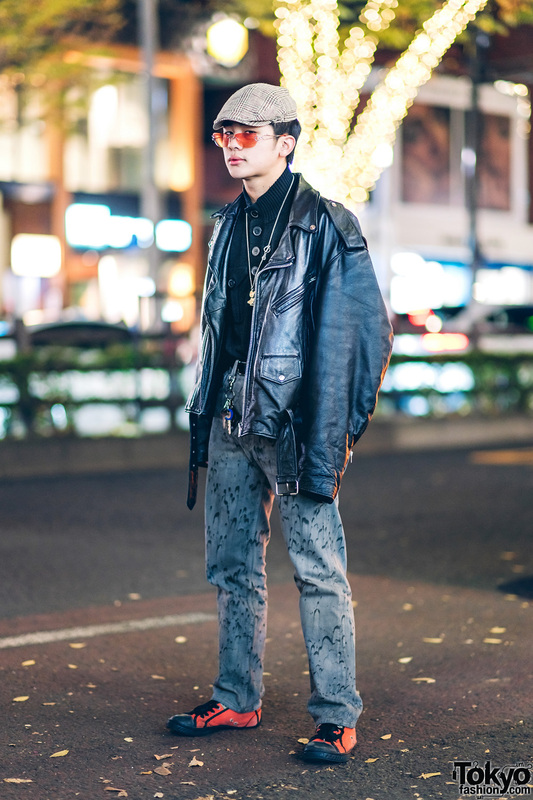 Japanese teen in a sleek streetwear style with motorcycle jacket, pocket shirt, printed jeans, sneakers and accessories.